Keeping it short and sweet over here on this Friday. The week flew by with my mom being in town and the weather being so incredibly gorgeous - I mean 70s in October?! Amazing! I wore my short trench coat and ripped jeans a whole lot this week since the mornings were a bit chilly and this trench is so easy and versatile. The temps are expected to cool down for the weekend and honestly, I'm looking forward to some real fall weather over here before winter hits us full force. Have a great weekend, everyone! Loving those black and white stripe shoes! So cute. I'm heading to Vancouver this afternoon and SO looking forward to cooler weather and finally getting to wear a coat. It's been crazy hot here in LA! 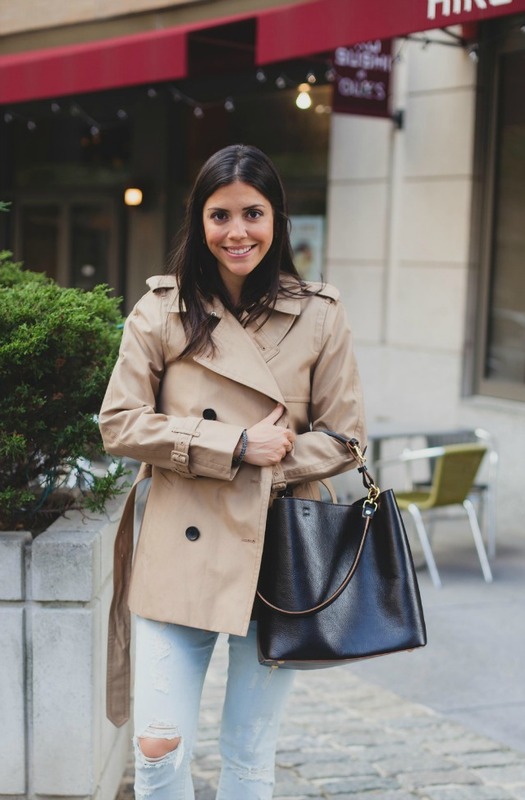 every woman should own a classic trench - such a sophisticated wardrobe staple!